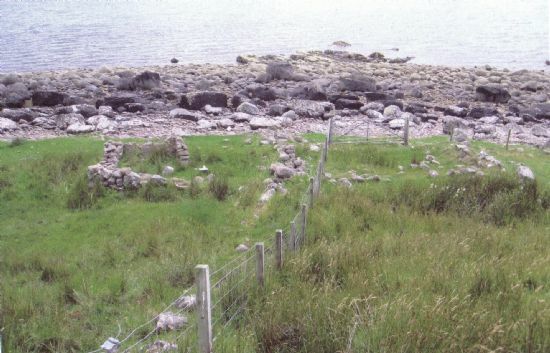 There are the remains of a school established by the SSPCK at Lonemore near Gairloch, probably in 1729. In the 1700s the Society for the Propagation of Christian Knowledge (SSPCK) set up schools to promote education and eradicate religious superstition. There were around seven such schools in the Gairloch parish. Only the ruins of this one remain. 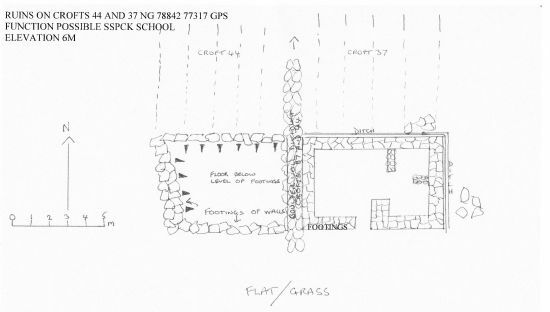 Local landowners funded the schoolroom and the schoolmaster’s house, and the ruins in Lonemore indicate two rooms. This site featured in ARCH’s Community Timeline display at Gairloch in 2011. A binder of related information can be found in Gairloch Museum and Gairloch Library. Dorothy Malone and Anne MacInnes made a detailed archival and physical survey of Lonemore, and a booklet describing their findings is available. In addition, detailed files with survey and archive information about the crofting township of Lonemore have been submitted to both the HER and CANMORE.